Where do you put your soft top and rear windows when they are not on your vehicle? Why not protect them from damage by using these affordable storage bags? Storage bag features padded interior panels. 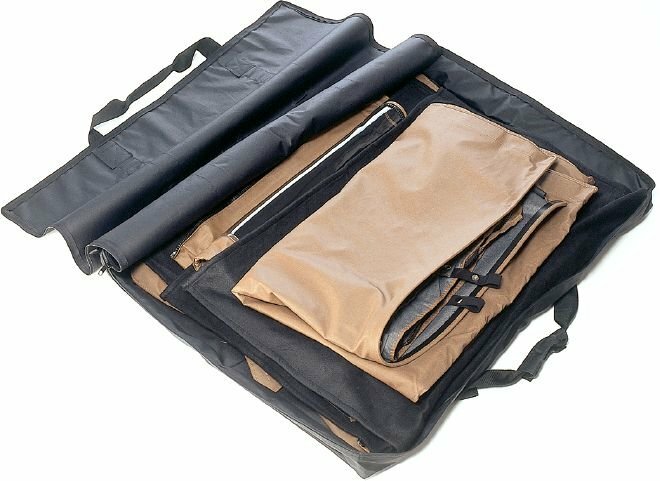 Window storage bag holds soft windows while you ride without them. Protect your soft top & rear windows when you're not using them with this handy and durable bag. Will not store your doors. Storage bag features soft panels. Requires rear window to be folded. Requires 97 & up factory soft tops to remove the front channel.